As one season comes to a close and we embrace another, we experience that in-between weather and dressing for the day can be a bit of a challenge. It’s too hot to wear fall attire and chilly mornings and evenings make it too cold for summer clothes. 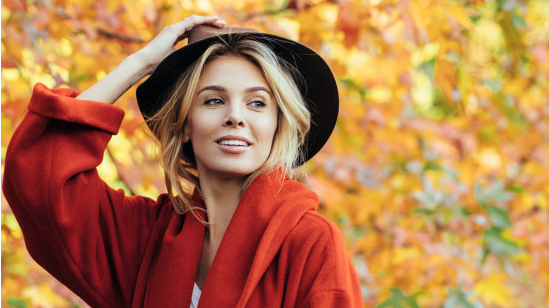 The best way to combat the awkward uncertainty of the seasons changing is to prepare your closet for a smooth transition into autumn with these tips. Maxi dresses are great for the season change because they offer enough fabric to keep you covered if it gets a little chilly and during the day you’ll be cool enough. A shawl or cardigan will work to cover your arms if needed. You can keep your summer dresses in your closet for a couple more months, as long as you pair them with some fall accessories. Autumn is perfect for tights, especially cable-knit and textured tights. They are cozy enough to keep you warm if you aren’t quite ready to wear heavy pants yet. Leggings are another great option too. If you still want to wear some of your summery tunics, wear them with a pair of leggings. Layering is your best friend during the unpredictable fall weather transition. Leave home in the chilly morning hours and by noon, it feels like summer again. You can keep out your summer tank tops and pair them with light sweaters or boyfriend cardigans. Scarves are also a perfect option for layering. Be sure to add no more than three layers, e.g. tank top, cardigan, and scarf. And if you go heavy on top, wear slim fitting bottoms to balance out the look. You still want to keep layers long and lean and not too bulky, so avoid layering while wearing wide-leg pants. Adding a few pieces of fall clothing to your summer wardrobe is a good way to ease into the next season. You can still wear summer colors but just add a few fall touches. Imagine pairing lavender with plum, sky blue with navy blue, and light yellow with mustard. You can add deeper autumn colors to complement your summer wardrobe with sweaters, scarves, and jackets. Perhaps the easiest way to transition any outfit to fall is to add a military-style jacket, a trench coat, or moto jacket. A fall jacket can tone down an outfit and make it more suitable for autumn. Autumn is boot season! Adding boots to an outfit also adds some autumn vibes. Boots can be worn with most outfits too; wear boots with leggings, jeans, dresses, etc. Need some inspiration for transitioning your wardrobe? Check out some of Etcetera and Carlisle transition pieces, they may just be perfect for you. If your looking for some extra help you can alway contact us!